AND IT’S OVER!!! It’s been 21 days since I started this challenge. I’M GOING TO BE COMPLETELY HONEST. I have so many mixed feelings. I need accountability. I need support. If left to my own devices, I will eat everything in sight and play video games/watch Netflix all day long. That’s why I like programs and games that make me get up and get moving and eat healthy. I thought the 21 Day Fix would be great for that. 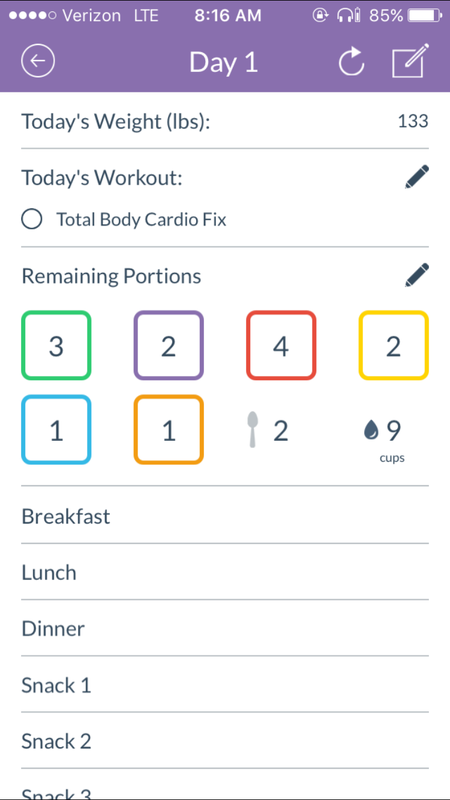 There’s even an app on my phone that I can track my meals, water and workouts. I mean, how much easier can it get?! I don’t know what it was, but it just didn’t work for me. That being said, I can DEFINITELY see how this could work for someone else! 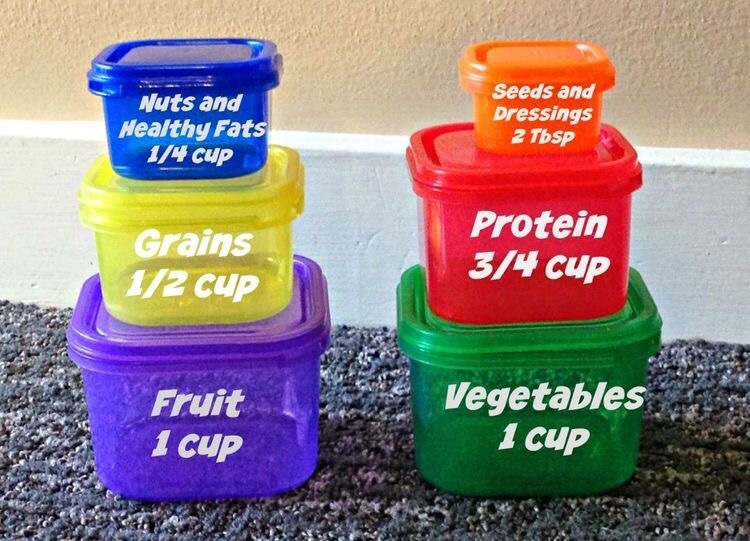 The Verdict: The containers are PERFECT for beginners who have no clue how much a cup or half a cup looks like. It is perfect for someone who doesn’t know if cottage cheese is a protein, carb or healthy fat. It is perfect for someone who has a bad habit of drowning their food in olive oil, only to then realize that 1 tsp of oil is about 1/8 of what they normally use. 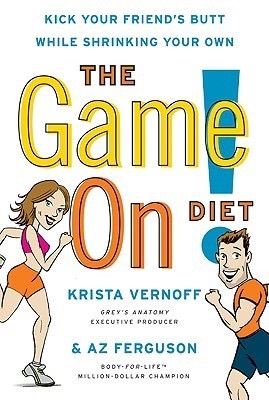 If you already have experience in food portioning, macro-nutrition, and overall nutrition – you might be better off using your own knowledge of knowing how much chicken you should be using, and that chicken is a lean protein, etc. So I wanted to do this by the books. I used the formula in the beginning, calculated what my calories should be, and used the numbers it gave me (3 greens, 2 purples, 4 proteins, 2 carbs, 1 healthy fat, 1 seeds/dressings, 2 tbs oil/butters). My goal was around 1,200 calories. The Verdict: I felt like it wasn’t enough calories, or maybe not enough of certain colors, but it could be because I need my body to adjust to that amount of food. Personally, given my background in health and wellness, and my activity level, I should be eating more than 1,200 calories. The problem then lies in not having enough colors. I wondered if I should go up a level to the 1,500 which includes more colors for the day. Maybe I could try a round 2 and use the 1,500 level. I did not like having to plan my meals so precisely that I needed to know how many fruits I would have or vegetables. My days can sometimes be crazy and unpredictable, and I like knowing that I have healthy snacks on hand, and not overthinking it. Let’s say I had a plan, and I was going to use both my carbs during dinner. But then my day gets hectic, and I can’t get away from the Fitness Center to eat my planned meal, so I grab a quick healthy granola bar from my desk. That’s going to be a carb, which is fine, but now that screws up my dinner plans completely. That might be a bad example because I wouldn’t use a granola bar as a carb, but meh. EXCELLENT! Although, I didn’t follow the calendar to a T. I’m sure it would have been much better had I actually followed all the workouts every day in the order given. But life is not always that kind as to allow it. So I mixed it up, went to Yoga on some days (hey, I’m spending $$ to have a membership at my studio, so help me if I do not make it at least 2x a week). I worked out at work on days I knew I didn’t have time after work. I worked out with my mom when she wanted to do something different. I also bought the On Demand and wanted to immediately try all of the different programs now suddenly available at my fingertips! 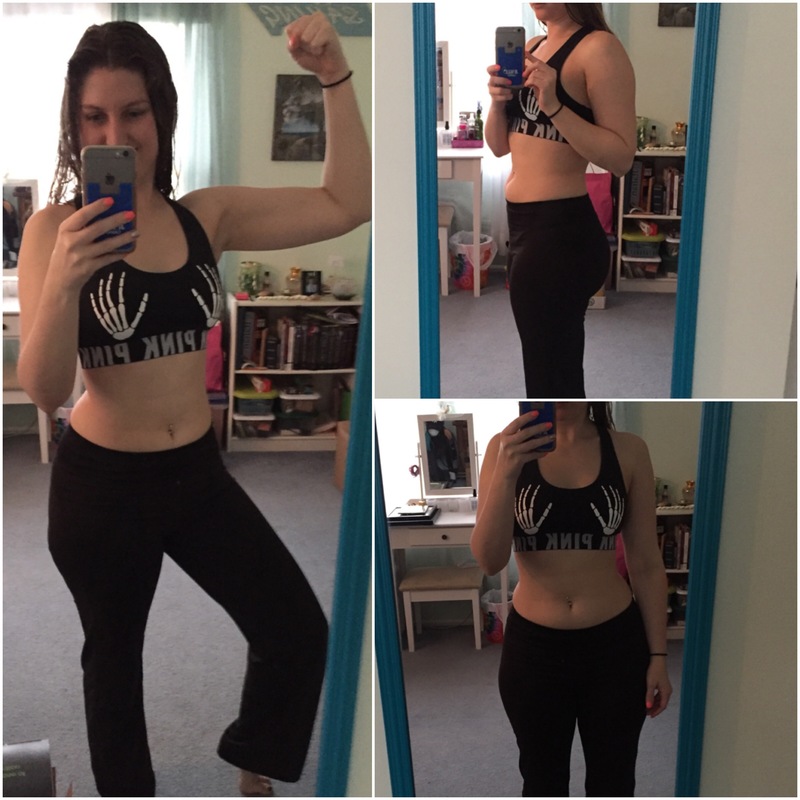 The Verdict: They are great beginner and intermediate workouts. I did do all of them at least once. I did them with my mom, my sister and her husband. There was a modification for everyone, and although they complained and grumbled that they were tired and out of shape, they were able to complete the video! The total body cardio fix is a perfect all over 30 minute workout. The Yoga one was perfect for those (like my mom) who are usually too fidgety for yoga. The Pilates ones were killer but a great switch up from burpees and jumping jacks. The Upper and Lower Body ones made me sore the following days, for sure!! This is a great, well planned program that is perfect for beginners or someone who needs to shape up real quick in 3 weeks and needs a plan to follow. Me personally — This was great for the week after Christmas break. It was good to get me back into the swing of things. However, I think I’m going to keep exploring all the different programs on Beachbody On Demand. I really want to build muscle and strength, so I might focus next on something like Hammer & Chisel or Body Beast or p90x3. I will keep you posted! Sorry for the delay in posts!